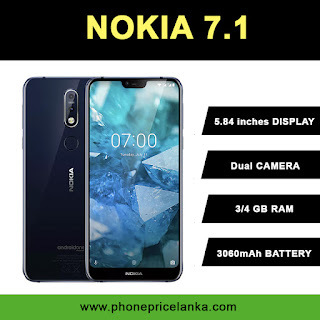 New Nokia 7.1 Price in Sri Lanka 2019. Softlogic Holdings PLC has the authorized dealership for the Nokia phones in Sri Lanka. However Nokia 7.1 currently not available in the stores.